Something from my bar whenever I feel like it episode CXXIsteemCreated with Sketch. 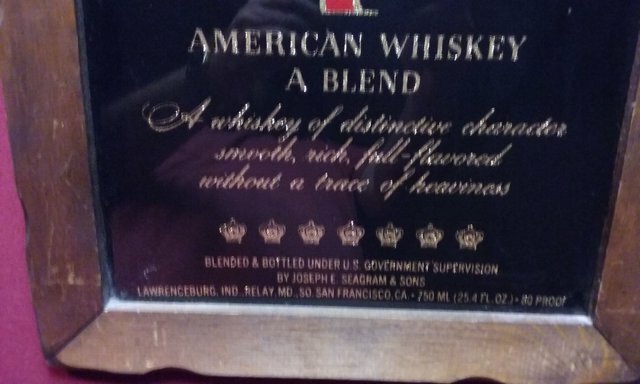 For today's off the wall episode I'm going with my only whiskey sign. 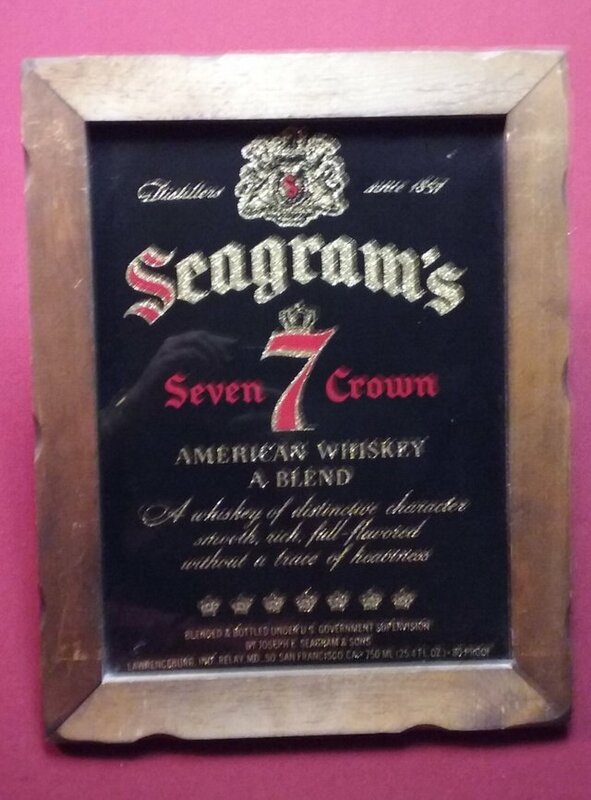 This is an old Seagrams 7 mirror/sign from the late 80's. This is another one that I got at college. It later moved to my bedroom them to my bar. 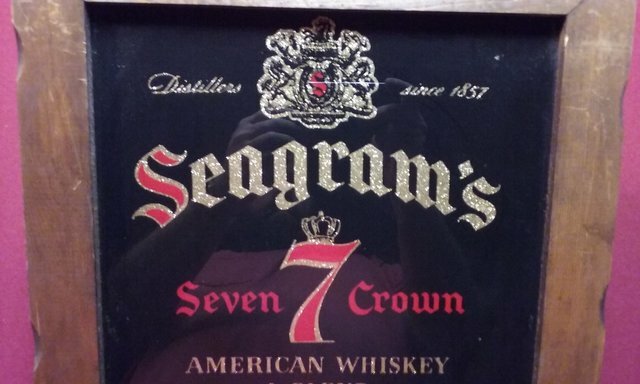 Anyone up for some 7&7s or some whiskey slushes?